Rohit Shetty is no doubt getting better at his game. There are still a lot of vehicles turning turtle, gun-blazing machismo, smashing of glasses and damdaar dialoguebaazi in ‘Singham Returns’ but there is also a method in this madness. Even though Shetty tries to pack in a neat little message for Independence Day, masala remains his forte and he stays true to his style. He shows some restrain, going slow on the sermonizing and melodrama for the most part. Even the romantic track is a subtle insertion, which doesn’t slow the pace of the story. ‘Singham Returns’ meanders close on the edge of over-the-top drama but someone was keeping a tab on some kind of script and narrative and the fact that Shetty’s overenthusiasm had been reigned in more than once was quite obvious. In fact, I was quite impressed by the way we were progressing on collecting evidence and maintaining some suspense on what actually killed an honest police constable. However, what builds-up as a good story, albeit a little indulgent, begins to lose its plot as it nears the end. The climax is the weakest point of the film – not only is it predictable and clichéd but it is also very problematic. If honest police officers, who have the support of the state government can do little to bring criminals to book, unless they resort to violent vigilantism, then what hope does the common man have? There are no simple answers to complex issues that plague our country but surely violence cannot be a simplistic solution? Having said that, Rohit Shetty’s film is a surefire entertainer. After a long time, Kareena looked like she had fun while working on this film. As Singham’s gutsy girlfriend Avni, she is super fun to watch, especially, when she beats up a reporter or when she turns auto driver. Her presence sure does light up the screen. 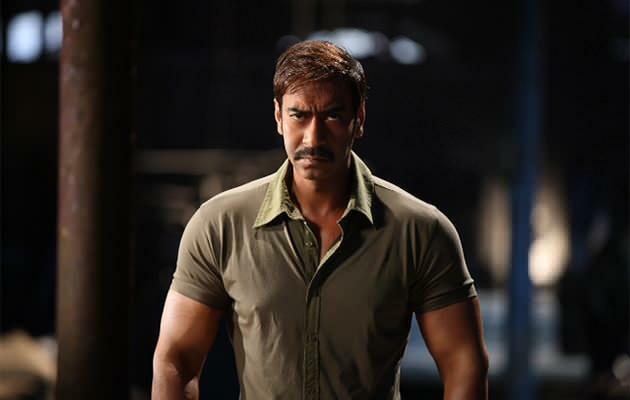 Our well-sculpted tough cop Ajay Devgn is definitely a pleasure to watch. But the one who takes the cake in the acting department is our villain Amole Gupte - godman by day and a conniving political advisor, drinking in his knickers by night; he is a treat to watch. ‘Singham Returns’ has a lot of things going for it. In fact, I would say, this is the best Rohit Shetty film I have seen. This is definitely the kind of masaledar police story where we are ready to overlook the indulgences and root for our tough cop Bajirao Singham. Did you like the film? Share your views/comments with us on Facebook and Twitter.